The classic opening sentences do not appeal to a portrait of the choreographer, dancer and performance artist. Too unfamiliar, too little straight is her way to the stage. Born in 1961 in Aomori, Japan, as a child she first of all wants to become a singer, learn the piano, but her father is against it, so she has to find her way to art on her own. For a long time she dreams of succeeding as a jazz singer in New York, but ends up not in the world’s metropolis in 1991, but because of a romantic relationship in Vienna. In Europe, she is shocked above all by the self-centeredness, the insistence on one‘s own ego, whereas people in Japan wear masks, as she once said. But it is also this break that characterizes her work from here, as she begins to find her way not in the music, but in the blossoming performance and dance scene. She turns to this art because she wants to show something that she can not express in words. „Movements and music become the medium between people and me,“ as she says herself. She is already in her late thirties when she dares to do her first performance, while other choreographers usually start playing the stages ten years earlier. But this „backward shift,“ as she herself calls it, also has its good side, because even though she still claims today that she does not exactly know her strengths as an artist and that she is not sure who she is, her work does in retrospect, artistically clearly conceived and professionally implemented, but without losing the immanent playful lightness. There is also a vulnerability that has biographical reasons. Because, when she shows her new work Tapped / Untapped in the context of the mumok exhibition Doppelleben this year, the title hits the core of her work with striking accuracy. Janus-headed, she describes herself in conversation, as an artist between East and West, between young and old, and finally between dark-melancholic and over the moon. This „in-between“ characterizes her and makes her work so exciting and risky. And yet with each new work, from the portrait as a tragic heroine in Black Honey Drops 2001 to Little Stories about S.O.S, which she presents as a solo piece in 2014 and then as a group work in 2015, she creates a new approach to this defining theme. 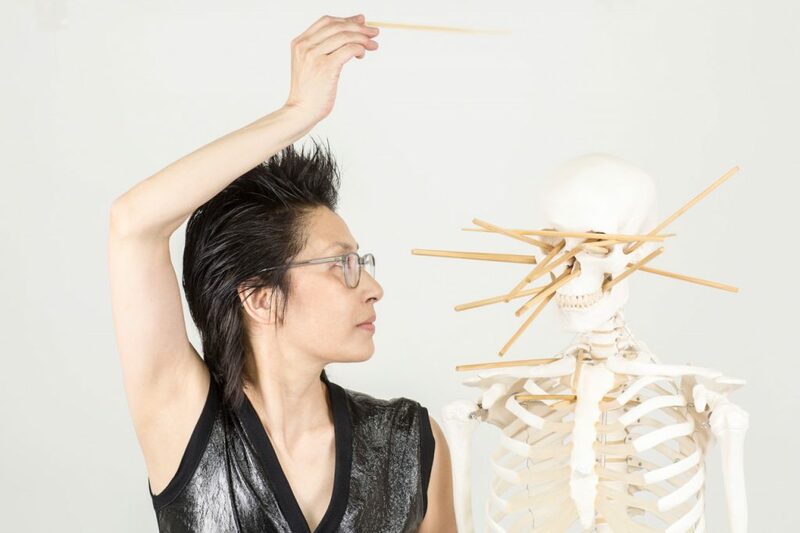 She combines visual art and dance, vocal and body work, turns to dance movements like the Japanese Butoh, and integrates science and art. In a critique, her style is once described as between „poetry, grand gestures, facial expressions, poses, fine arts and graphic elements“. The breakthough to the outside is – how could it be otherwise – through the world of art. 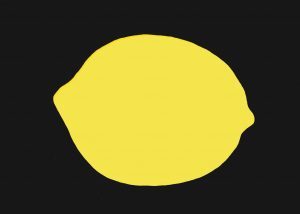 At the latest with her LEMONISM series, she will be opening „a door“ from 2015, as she describes it. While the work with the (own) body remains a determining feature, it now combines this examination with the various art ISMEN of the 20th century, from minimalism to surrealism to actionism. Suddenly, her own self is in a line of tradition and struggle with the Western art currents, to which she throws her own LEMONISM. Her very own, unmistakable performance method continues to develop as an inner confrontation, amalgamating in her performances thoughts from diaries, dreams and essays. Because actually she always writes: small notes here, texts and poems there. Only some of them actually find their way to the stage, but they are always present as a background. 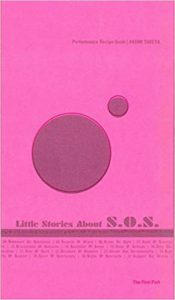 For the two versions of her play Little Stories about S.O.S she even publishes a book as a creative documentation and performative guide, which she gives the title Performance Recipe Book after the „recipes“ it contains.